You may remember the last MX-3 featured on these pages – it was a 90s-fantastic magenta color. 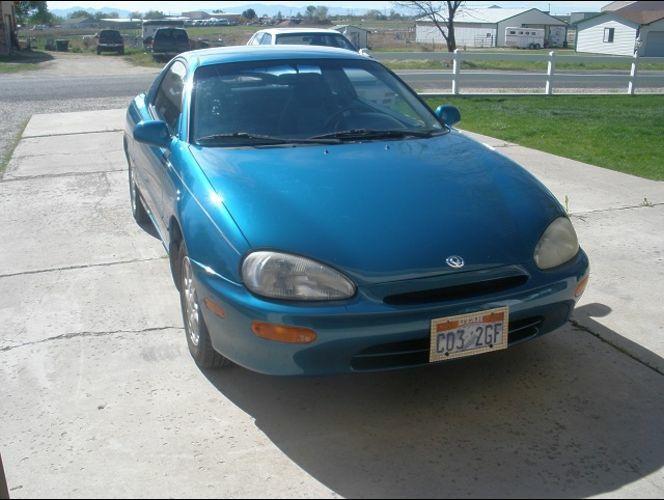 Today, another MX3, another 90s flashback. No matter what we think of these colors now, at least they were color. Current offerings seem only to consist of black, white, silver, charcoal, black with a small amount of red, dark silver, charcoal with some blue, black and maybe if you’re lucky, red. 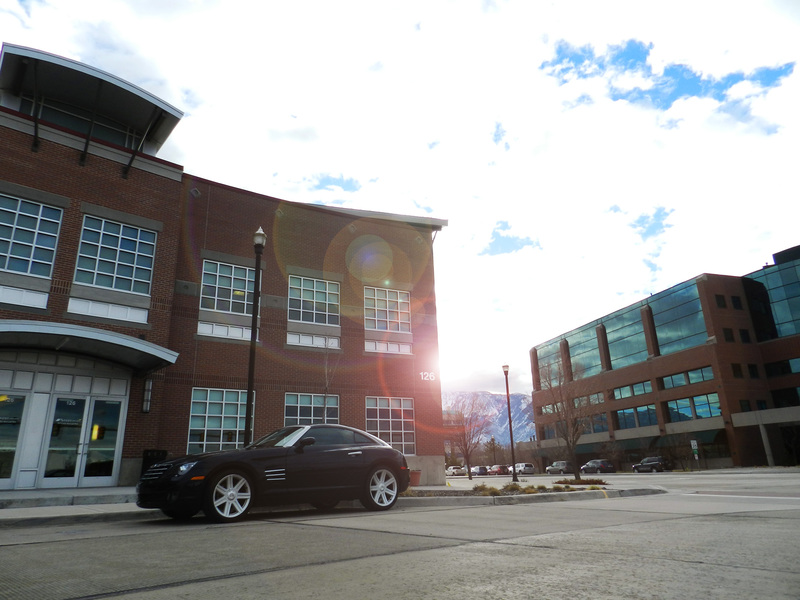 The Chrysler Crossfire – so interesting to look at, yet such an abject failure. Perhaps that’s too strong of a term – after all, over 75,000 of them moved through dealerships in its first three years of existence. Problem being, only 12,000 of those were in the third year, dropping below 5,000 in year four and only 2,000 in the final year of the run. Even the most jaded of hatchback and automotive aficionado recognizes that the Volkswagen GTI was a game-changer. The idea of transforming an economy car into something more performance-oriented certainly was not a new one – the Ford Mustang was essentially a swoopy new body on a basic sedan with a few performance goodies thrown in. And it was a runaway success. Kinda like the GTI 20 years later. Prior to its introduction, the public perceived (and for the most part, rightfully so) that small hatchbacks were basic tools to get you from Point A to Point B. A mid-80s vintage Honda Accord has been featured on these pages in the past, however, this one is a little different. As you likely know, Americans often miss out on the coolest versions of cars that are sold in numerous other more advanced countries. An example of that is the hatchback Honda Accord Aerodeck. Here’s another high school dream car… Definitely one of the alpha dogs back in the early 90s, the 3000GT and it’s twin Dodge Stealth were among the best performance bargains of the day. Of course, everyone knows there’s no replacement for displacement… unless of course you have not one, but two turbochargers. Competing in theory against the Ford Mustang and Chevy Camaro, the 276 horsepower twin turbo V6 made a mockery of the 5.0 V8 Mustang’s output of 205 and was more than 30 more than the Camaro’s 5.7 liter V8 peak at 245. Yesterday was Wide Open Wednesday at Miller Motorsports Park near Tooele Utah. I wrote about the experience of driving my car on a real race track over at Hooniverse.com. 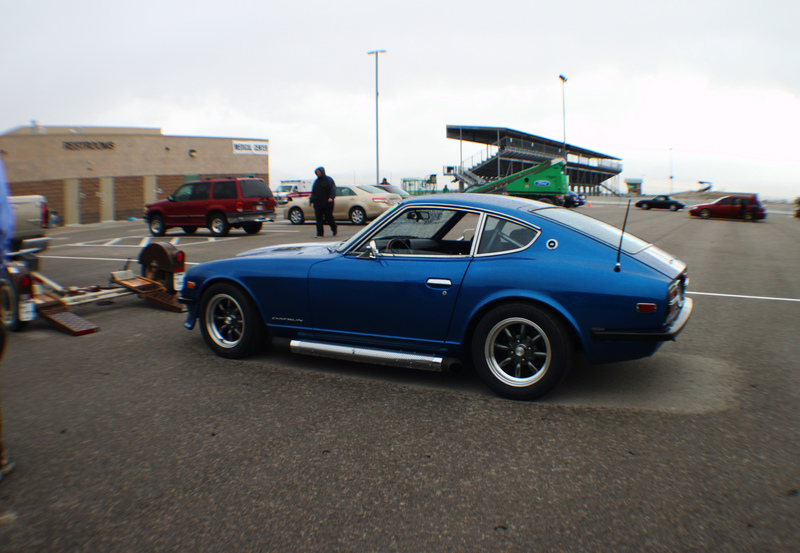 You should check it out after bathing in the awesomeness that is this Datsun 240Z powered by a Ford 302 V8. Yes, he’s rollin’ in a 5 point oh. Rain cut the festivities short, but you can bet I’ll be there again – it was the most entertaining 25 bucks I’ve spent in a long time. Welcome to another Toy Tuesday at Hatchtopia. Today, we’ll be looking at something that will probably be a bit advanced for your typical hatchback-enthusiast child… who are we fooling – all of the previous toys have been strictly for grown-ups anyway. Do you enjoy Exacto Knives? The attendant slices in your finger tips? The smell of aviation fuel glue? 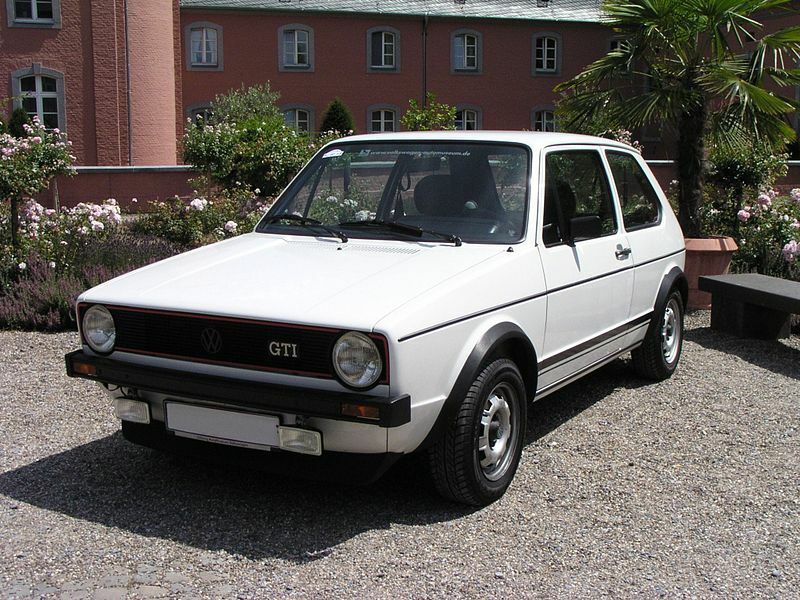 Have I got a little project for you – a paper Volkswagen Golf. It’s not very often I get to take a sweet hatchback out and really get some good photos – most of the time, I’m making due with whatever’s in the background, foreground and floating around in front. 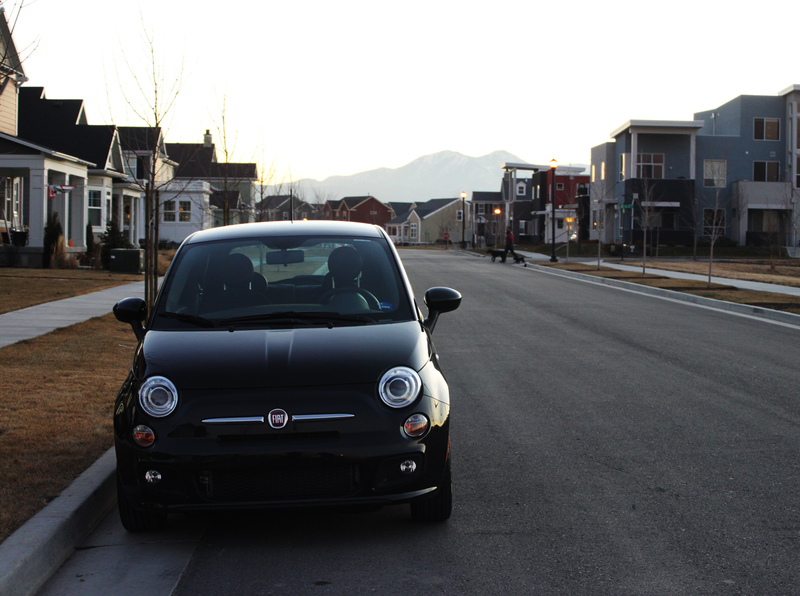 So when my buddy Jon told me he’d be happy to let me use his new Fiat 500 as a model, I jumped at the opportunity. The fact that Jon lived in a cool new neighborhood with lots of interesting architectural backdrops sealed the deal. The diminutive stature of the 500 is hidden from straight on. Inside, it’s narrow, but the front seats are quite comfortable. Mirrors du jour – mounted on stalks are most visible at this angle.